If you are looking to do an all girls vacay, then there's no place like Goa when it comes to a fun (yet) safe night out with your girls. Well, we have found a few places where you could celebrate this day (or any other day, to be honest) around the city. Soro in Assagaon is a place where mostly the locals hang out (especially on a Sunday when they have their Salsa nights). With a mixed crowd of expats and locals, plus an instructor on Sundays who will even teach you basic Salsa moves, this is a place to head and have a girls night out and dance away. Plus, they even have an air-conditioned dance area to stay cool. Firefly in Benaulim, South Goa is again a fun and happening night out spot. Run by the one of the sons of the Vaz family, this is where you will meet singles, families and older uncles and aunties rocking to their live bands. The owner and manager are always around ensuring that all of you have fun. And whilst you are there, ask them for their fabulous Feni cocktails made by their in-house brand Cazulo. 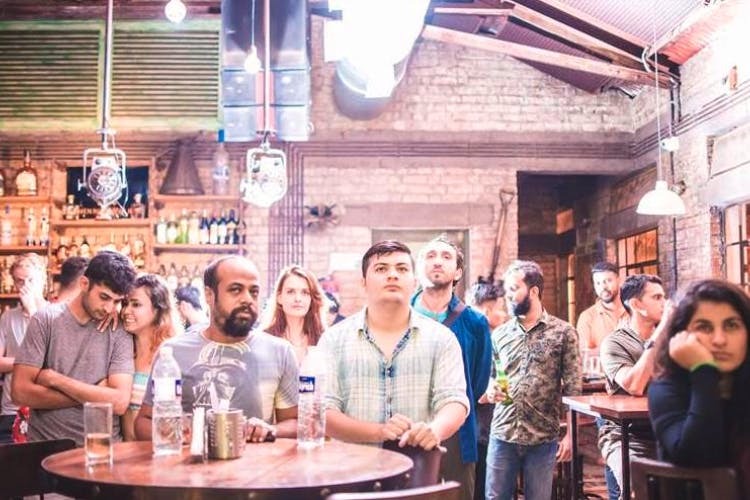 Showbar is a relatively new outpost in Goa but offers some great night out opportunities. Their Art Deco façade, their Bar Stock exchange night and live music have made this a popular haunt in a very short time. Again, the crowd that visits here is assorted and just about having fun, so you can rest assured that there'll be dancing on the table with your gang of girls whilst their security keeps a stern eye on everything. Cohiba is always a great and fun place to go to. Great live music, awesome food, awesome service and three bars, mean you will never be with an empty glass. Not to mention their legendary Wednesday ladies nights, which means free shots and cocktails. Oh, and they have a strict and mindful management, ensuring that you are always safe and well looked after. The Big Tap's Thursdays are when you can expect free drinks for the ladies. They have a Motown night too, plus a Blues night once a month. And every Saturday, they have the popular band Syndicate playing there. So, go and ring in the good times. Cavala has all the ingredients for an epic night out - great music, potent drinks and a packed dance floor. You could walk in alone here and make friends easily, or just hang out with your girls and dance on the tables. This is another one of our favorites as the owner is always around and attentive. If you love Jazz, Blues or Retro, take your bestie to Cantare. They have a live band on Mondays and a few other nights and DJ Russell playing on other nights. Or, just go karaoke with your gang on a Wednesday which is preceded by their weekly pub quiz. Great vibes, friendly faces and a safe environment and to add to it all, the management will even help arrange a cab if you forget to call one. Sounds good, right? Always use a taxi service or driver when on a night out instead of riding around on a scooter.